This is a partial preview. Full document is 90 slides. View large preview. 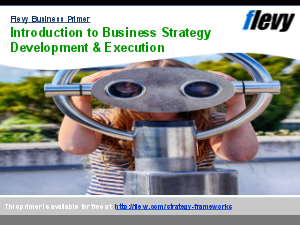 strengthens and formalizes the project selection process to focus on key capabilities and enablers. The Balanced Scorecard is a strategic performance management system that is used extensively in business, government, and nonprofit organizations to align business activities to the vision and strategy of the organization. 1. MS PowerPoint Presentation including 90 slides covering Balanced Scorecard History & Benefits, Four Dimensions of a Balanced Scorecard, Balanced Scorecard Development & Deployment Process, Strategy Mapping, Balanced Scorecard Deployment Challenges & Resolution Strategies, Balanced Scorecard Template & Instructions, and Project Evaluation & Selection Matrix. Balanced Scorecard? Bain Frameworks? Total Quality Management? Or something else.